Snorkel at two spots in Sosua Bay, where the water is clear and calm, on this guided snorkeling tour. Traveling with a snorkeling guide means you’ll have an expert by your side the whole time, pointing out the local marine flora and fauna as well as ensuring your safety. 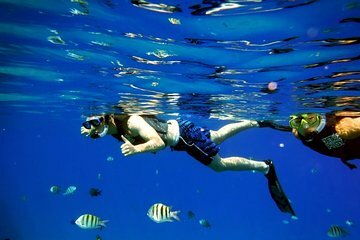 Refreshments, snacks, and use of snorkeling equipment is provided to make the experience comfortable and convenient.